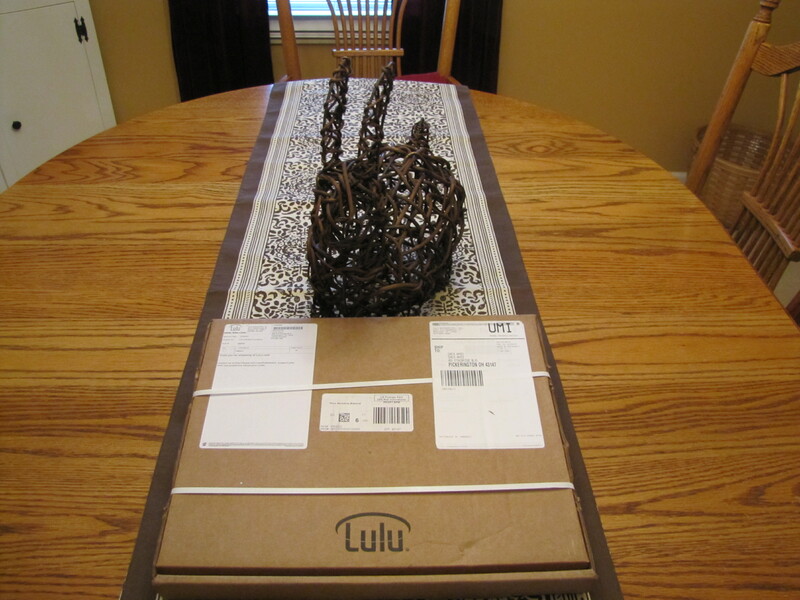 Today I received a package from the online book publisher Lulu. …not only as a cellist but as a fellow human being as well. 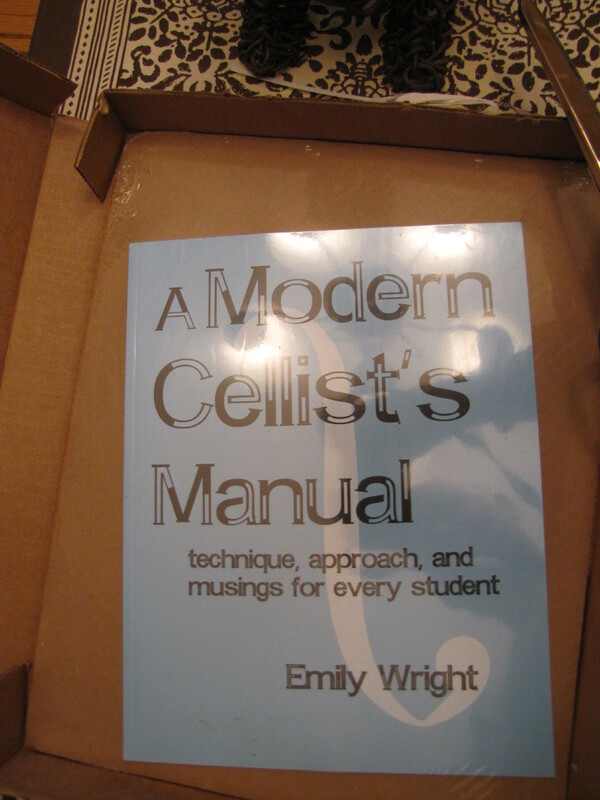 Inside that package from Lulu was Emily Wright’s book, A Modern Cellist’s Manual. 1. Modern. Yes, the same word that is in the title is a reason to have this manual. I began learning the cello as in adult back in 2007. Although I had some very good student / instructors the first two years, I was very disappointed by the lack of modern non-instructor technique aids. Let’s be honest, the Suzuki books have horrible pictures and illustrations and other sources of instruction include expensive subscriptions to various musical magazines, hunting down articles on the Internet, or reading very old opinings of past famous cellists (like reading the King James Version of the Holy Bible). A Modern Cellist’s Manual is as modern as it gets. It is well written. Well written in the sense that it is easy to read and comprehend; unlike some rigid academic guides. The structure of the manual is well thought out, starting with basic form and progressing into moderate levels of technique. 2. Pictures. Yep, lots of pictures – and in color too! Most human beings alive today – that live in a modern society – tend to be very visual both in how we perceive and how we learn. The pictures and illustration overlays in A Modern Cellist’s Manual clearly support the concepts and techniques being presented in the text – in great detail. 3. Comprehensive. In my opinion, A Modern Cellist’s Manual easily covers all the instruction I paid for in the first two years of taking lessons (once or twice a month) – plus more. In no way am I suggesting that my first instructors were negligent or not knowledgeable. But I really wish I could have had a comprehensive manual to aid me in my journey. As a beginner adult, taking those precious five or ten minutes of down time to read a manual to reinforce some of the concepts being taught by my instructors would have been helpful; A Modern Cellist’s Manual fills that gap. In closing, A Modern Cellist’s Manual is worth every penny spent to purchase it. However, please note that the manual itself will not make you a better cellist. It is not a replacement for practice and does not replace the discerning eye of an instructor or trusted adviser that can see the things you cannot. It is an aid to include in your kit to learn and reinforce cello technique. By purchasing Emily’s A Modern Cellist’s Manual , you are empowering yourself to become a better cellist and supporting a musician / artist that has great passion for the cello, making music but more importantly, teaching others. Thank you for publishing the book Emily – I look forward to others. This entry was posted on December 29, 2010 at 6:44 am and is filed under beginner, cellist, cello, cello blogosphere, worthwhile with tags 978-0-557-24259-7, Cellist Manual, Emily Wright, modern cello technique. You can follow any responses to this entry through the RSS 2.0 feed. You can leave a response, or trackback from your own site.